Alistun's Blog: GMS Tespia: Quick Summary + More Screenshots + videos! GMS Tespia: Quick Summary + More Screenshots + videos! Awhile ago, the Tespia server came to a close, so I wanted to give a brief recap of what to look forward to when Big Bang is patched. During Tespia, Resistance was NOT released yet. 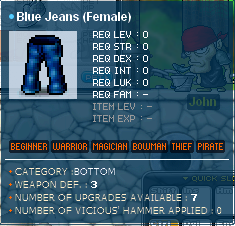 Instead they had a grayed out picture like the one above when creating a character. 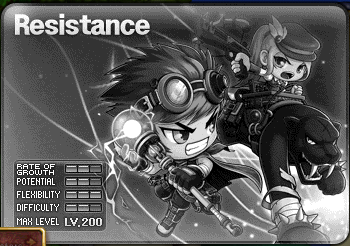 Whether or not Nexon plans to release Resistance on Dec 7th is unknown. Although it is most likely to be available after Part 1 of Big Bang. As you can see below, the HP/MP/EXP Bar has been changed in terms of looks. Thats not all though, the EXP required to level has been significantly lowered. So look forward to faster leveling! 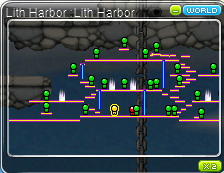 The mini map has also been changed to a more simplified version with just plain dots and lines. Personally, I find this new mini map not so appealing. Luckily, you are given a choice in the System Settings to alter it back to the old one. Many skills have been changed (either increased or decreased) to balance all the classes. Some skills like the one below (Big Bang) now hits 5 times. 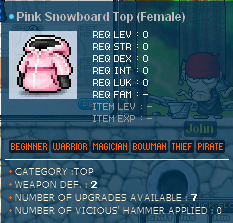 Other skills like Assaulter, Band of Thieves, etc can hit more than once. A 30 - 50 sec cooldown time has been placed on skills like Genesis, Blizzard, Meteor, etc. 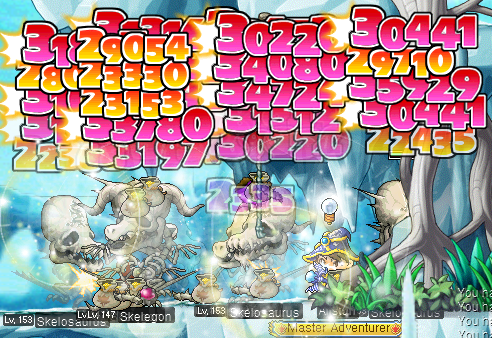 The skill you see on the left is the new improved animation for I/L Mages' 2nd Job Cold Beam skill. Pretty cool huh? 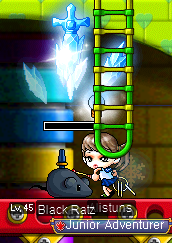 It was not just Cold Beam though, Cleric's Bless, Heal, and Holy Arrow received new animations. Many new skills have been added to the skillbooks for the Adventurers/Explorers. Mages have all been given Magic Mastery as well as Teleport Mastery. 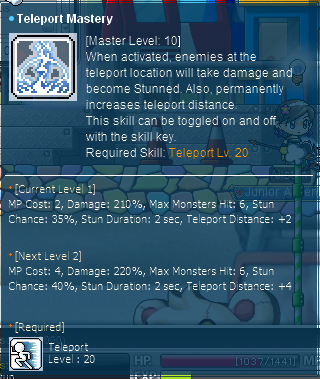 Teleport Mastery allows mages to deal damage while teleporting. Bandits received Shadow Partner, balancing them with the Night Lords. Every character now automatically has originally 5% critical rate. 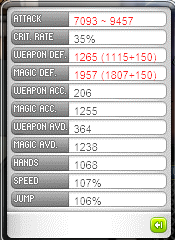 The picture on the left shows 35% because its a screenshot of my Evan, which has a skill that adds 30% critical rate. Also, all magicians now have an attack range. In Tespia, players were given a choice of choosing "NX" based looks when creating a new character. There has been many controversies dealing on whether or not this feature will be implanted. It has not yet been confirmed this is a Tespia feature only or not. View the videos below for more info on this feature. really nice :D and i love the fact that Gen and other strong mob skill now have cool down. 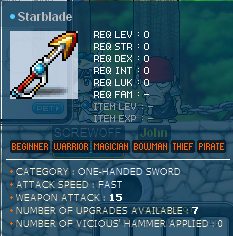 I saw other class has a lot of new skill so i was wondering if evan have some? Evans do not get any new skills. I think its only Adventurers that received new skills as of now. I used the program "PhotoFiltre" to make it. Are the "NX" when making a character going to come in real GMS? does anybody know if we will automatically be leveled up on gms because of the exp curve. like say a level 30 needs 100k to level but u have 140k will it level u up and give u 40k into ur next level???? hey alistun, will you make a training guide for all the resistance class or just one of them? If you make all, when will you do it? Hey Alistun,can you post the resistance training guide please? ERM CAN I ASK U A QUESTION Wad is tespia? Hey alistun can thorns and sharp eyes stack with judgement Dragon? Hey i was just wondering in your opinion. Which is the strongest maple class? Is it Aran? 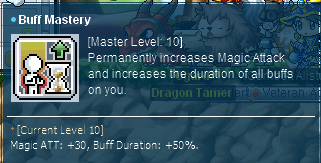 Why MapleSEA needs a long time to have Big Bang? It is 17 more days to Big Bang and I can't wait!